Chez Ingrid was established in 1989. The quality provided by Chez Ingrid Catering is not only great in terms of taste nor is it just a pretty packaging; it is also about her exceptional service especially at certain events.The company’s hygiene and the never ending of innovative products prove that Chez Ingrid Catering is always consistent in upgrading her quality and services provided to her customers.At the moment Chez Ingrid Catering provides their services to clients and other loyal customers from internal companies to mass corporate companies to cater at formal and non-formal events such as, meetings, trainings, gatherings, weddings, as well as private events.One of Chez Ingrid Catering’s winning capability lies in their product preparations. Their cooking process in baking cakes is exclusively only in Jakarta. 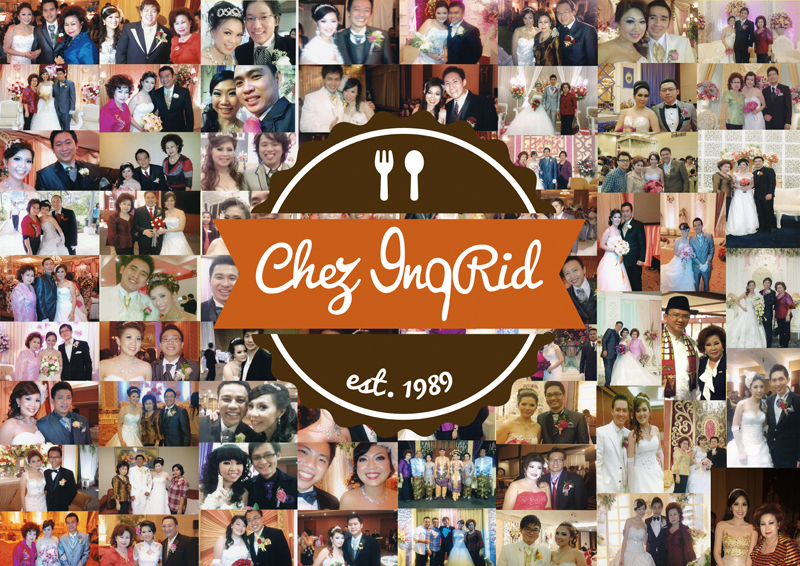 Chez Ingrid Catering is here and ready to provide their exceptionally professional and friendly catering services for all types of formal or non-formal events starting from weddings, khitanan, religious events (halal-bihalal, silaturahmi), corporate parties, concerts, seminars, to accepting personal orders as well. We have experienced more than 1000 clients. We are the leading of Catering Industry in Jakarta. We have committed to superb produce and a great range of food choices. We serve only the best.